Colorado Unwanted Horse Alliance Unwanted Why? It can be difficult to imagine why horses would be abandoned, left to fend for themselves along roadsides, in barren fields, and in desolate areas. Yet, horse abandonment happens every day for a variety of reasons. Home › About CUHA › Unwanted Why? Naïve owners. People purchase horses without a clear understanding of the expense of boarding and caring for the animal. Loss of income. People lose their jobs or go through a life event that makes them no longer able to afford horse ownership. Illness or death of owners. People simply die or become too ill to care for their horses and there are no family members or friends who are able or willing to step in. Moving. 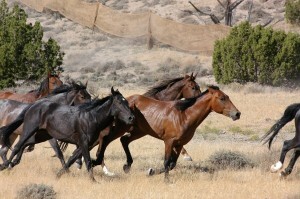 Sometimes people move and are unable or unwilling to transport theirs horses to their new home. Aging horses. As horses age, they can outlive their usefulness to their owners, or owners cannot afford to care for an aging, sick, or injured horse. Negligence or abuse. Unfortunately, many people commit cruelty to their horses, and the horses are seized by authorities and need to be rehomed. Horses become unmanageable or dangerous. Finally, people do not or cannot properly tame or train their horse. As a result, owners no longer want the horse, and neither do any potential adopters. CUHA provides resources to professionals and the public to help address these root causes and keep horses cared for and protected. Since 2008, the Colorado Unwanted Horse Alliance has worked in collaboration with equine organizations, horse rescues, and state agencies to raise awareness about unwanted horses and the importance of responsible horse ownership.